A new post abroad is an exciting time for employees and Human Resources departments – though perhaps for different reasons. Employees will have already decided they like the look of the new location, will be scoping out the lifestyle options, entertainment locations, and local amenities. Meanwhile, the Human Resources department is busy in the background, planning to move someone’s whole life to another country. What most HR executives appreciate is the established way of doing things doesn’t always work for each employee moving abroad. There are different requirements in different countries, an entire world full of haulage companies to deal with, and deadlines to be met. HR must be sure to stick to certain budgets per employee movement without compromising the good reputation of their company. What sounds like a big task needn’t be overcomplicated. Firstly, comprise a list of what an employee will need to do personally, to make their move successful. The list below can be standardised if you are working in the same country and lots of people transfer. Checklist: Provide a checklist of steps required to organise their visa and right to work in that country. This may involve applying to an embassy in good time, or completing employment sponsorship documentation and gaining relevant departmental signatures. Passports: Employee passports must be valid for time periods specific to the point of exit and the point of entry into their new locale. Sometimes these time limits can differ so it is worth their while to do the checking. Pet visas & passports: Destination countries always require a period of quarantine at customs points of arrival for pets. These times can vary, so make sure you provide your employees moving abroad with information about how to move the family pet. Removals: When moving abroad, it makes good sense to decide what items are going to be required in the new location. A reliable domestic removal van company is needed to transport goods to international freight ports for container transport. Domestic storage may be required, and you can provide a list of recommended local companies. Vaccinations: It doesn’t make any sense to move abroad without taking a personal health check-up and receiving the required vaccinations in good time. Make sure, if vaccinations are compulsory, the employees know this requirement. Accommodation: Often, before the move, temporary accommodation is required in the country of origin, and possibly after, in the country of destination. To make sure the employees you move abroad experience as little hassle as possible, have an itinerary and transfer transport arranged. This step is often missed out or left to the last minute, don’t make that mistake! Taxation: Usually it is the responsibility of the company to make sure employee details are correctly registered with local tax authorities. For example, if a UK citizen works with an American Oil company in Saudi Arabia, they do not need to register with the Saudi tax authority but are wise to continue paying their UK national insurance contributions (to keep a State Pension entitlement). American workers in the same oil company have to continue paying normal income tax in America. It is good practice to prepare a document with the correct tax advice (from the employee perspective), with directions for the best way to conduct themselves with tax authorities – both within their origin country, and destination environment. The company needs to ensure all paperwork is filed, and their employees can work in another country, legally. This can entail a sponsored visa which needs to be registered with the corresponding embassy or official employment association (and sometimes both). As an employer, you will be doing most of the legwork on lie sponsored visa and right to work permit. Making a cost comparison between several removal companies is always prudent. There will be some instances where one company is very efficient on the outgoing move, yet the same company is not so good in the destination country. One deal, may tie you into both ends of the move, and you may get the best price this way, but not the best move experience. Price is a big determiner, but be sure to check which removal companies add-value, that may be extremely important to your employees’ particular needs. It is best if the removals company you use to move employees abroad is familiar with the cost of containership moves. Many companies offer a tie-in with domestic removals firms, at both ends of the move. It is worth shopping around, and seeing what extras are included. Watch out for insurance excesses, time frames for delivery (wide or narrow), port extraction, loading, and sailing times, the existing reputations of each haulage company involved, their track records with multiple moves, and finally, their ability to accommodate small containership movements and guarantee the safe, undamaged, transfer of the goods. Moving employees abroad internationally involves planning a project management-style move – and often for several people at once. 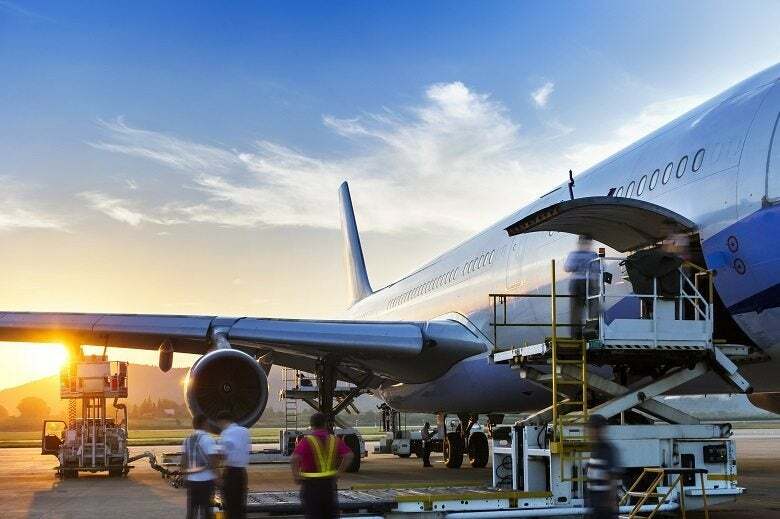 Human Resources departments, coordinating international transfers between company locations, will be familiar with shopping around for international freight charges. There’s often a wide range of requests, and employees moving abroad need reassurance their belongings will arrive on time (and unbroken). International shipping costs range from £1,250 up to £15,000 depending on factors such as the volume of the goods to be shipped and the distance needed to move them. To get an accurate quote from companies specialising in international moves, fill in the form above. Moving a single person overseas will generally fill a 20-foot container. You will need a larger 40-foot container if your employee is taking their family or car with them. When you want to relocate employees overseas, keep in mind the need to book storage container spaces as far in advance as you can possibly manage. This is the absolute key to a good move. What may be the adventure of a lifetime to some, may be the source of trepidation to others. Moving abroad to a new country is exciting and daunting at the same time. Put together a comprehensive moving guide as detailed in this article, and combine it with a cultural guide to local restaurants, facilities, and local attractions. If possible, provide a company point of contact able to talk your employees through the new country, and help them settle in. You will find that there are often thriving expat communities, meetups and forums in most major cities. Finding these can help your employees settle in.